A less stressful journey for motorists is being predicted with the upgraded A2 Shore Road due to become fully operational on Monday (September 28) morning. Just over two years after the £60m project commenced, all traffic management on the scheme will be removed over the coming weekend on the new dual carriageway. The Mayor of Mid and East Antrim Borough Council, Councillor Billy Ashe, said: “Around 35,000 vehicles use the A2 each day. I’m pleased this project is now set to be operational. I hope this new road will significantly ease the long-standing traffic congestion. 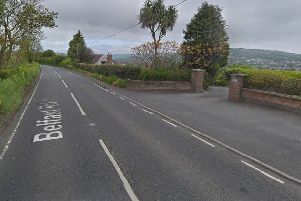 The mayor was commenting on the news that Graham Construction finished its upgrading of the busy 3.5km stretch of the carriageway between Jordanstown Road and Seapark this week.